Learn what A.I. tools are ready for law firms, and how to effectively use them. Artificial intelligence looks promising for the legal industry. Some media reports make A.I. seem like the solution to all of our problems (at best) or robots taking over the world (at worst). In this webinar, we’ll run through the data and A.I. tools currently being used in law firms to better serve clients. From improving legal research and reducing document review, to suggesting clauses in contracts and reducing repetitive tasks, we’ll show you how to use A.I. to run a smarter practice. What kinds of A.I. tools can lawyers use? How are data analytics related to A.I. for lawyers? What are law firms building with A.I. right now? Can’t make the date? Register anyway, and we’ll send you a recording after the webinar! 1*Clio is a State Bar of California–approved MCLE provider, and will be supplying the appropriate materials for continuing legal education credits in California and any state that recognizes MCLE accreditation. Many states allow attorneys to apply for credit on their own and may require nominal accreditation fees when filing for CLE credit. CLE credit rules vary for online CLE. Please check your state bar association’s requirements for online CLE to ensure that the program meets the requirements of your jurisdiction. A New York-admitted attorney, Joshua provides legal scholarship to Clio on issues relating to technology, privacy, and lawyers’ ethical duties of competency. Joshua Lenon is the Lawyer in Residence at Clio. 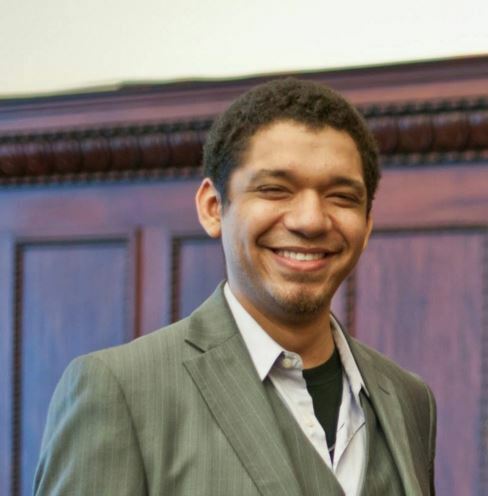 An attorney admitted to the New York Bar, Joshua brings legal scholarship to the conversations happening both within Clio and with its customers. Joshua has worked extensively to educate lawyers on technology’s capability to enhance their practice, while also teaching tech companies about the unique needs of the legal system. Ed Walters is the CEO of Fastcase, a leading legal research and analytics service. He teaches The Law of Robots at the Georgetown University Law Center and at Cornell Law School, and he is the author and editor of Data-Driven Law (Taylor & Francis 2018). Before co-founding Fastcase, Ed worked in The White House Office of Presidential Speechwriting, attended the University of Chicago Law School, and was a litigator at Covington & Burling in Washington and Brussels. A New York-admitted attorney, Joshua provides legal scholarship to Clio on issues relating to technology, privacy, and lawyers&rsquo; ethical duties of competency. Leon Carelli manages varying forensic, eDiscovery, and information technology needs for Locks Law Firm. He also oversees the firm's litigation support department and coordinates projects involving data analytics. For more than 20 years, Large has litigated in federal and state courts throughout the United States on matters such as antitrust, environmental pollution, and securities. He served as a Member of Lead Counsel team and Chairman for the Plaintiffs’ Steering Committee Discovery Group during the Deepwater Horizon oil spill litigation. Will’s practice focuses on intellectual property litigation, class actions, and complex business litigation. An expert in developing areas of law, Will frequently litigates and lectures on issues of first impression throughout the United States. Clio is made by smart, creative people who want to help 21st century lawyers work better, smarter, faster. Clio helps me focus on what is important in my practice. So much great information. I want to implement it all. Call 1-888-858-2546 or email us at [email protected].